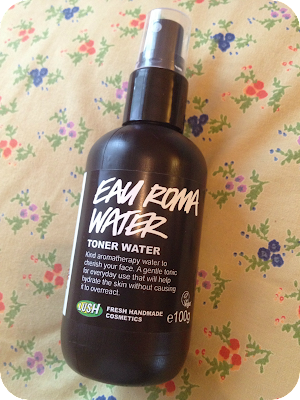 You may have seen in my Haul a while ago that I picked up this Eau Roma Water from Lush! I was trying to decide whether to buy this one or the Breath of Fresh Air toner water so I thought I'd get the smaller size which cost me £3.95 (100ml) and give it a try then perhaps try the other one at another time! 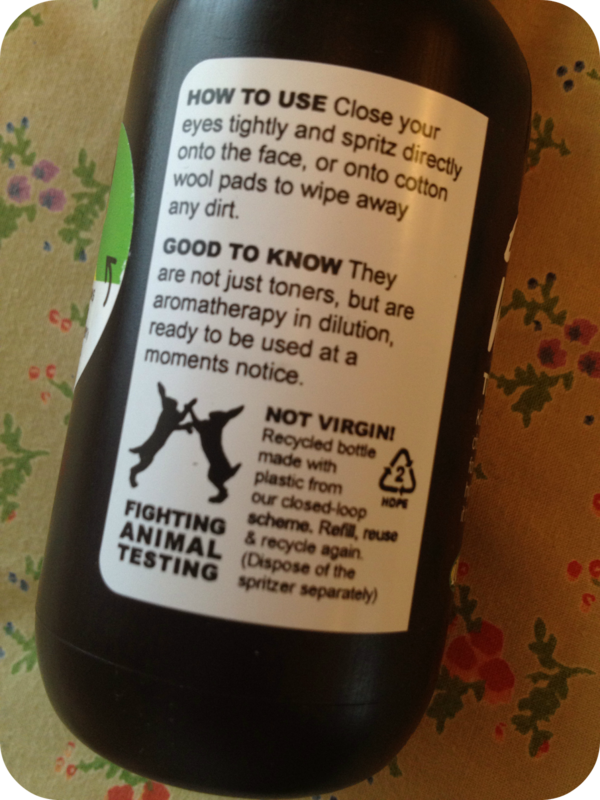 It is Made with a mixture of natural ingredients and safe synthetics. As I still have quite a bit left to use of my other Tea Tree toner from the Body Shop, I use that on a cotton pad to remove cleanser. 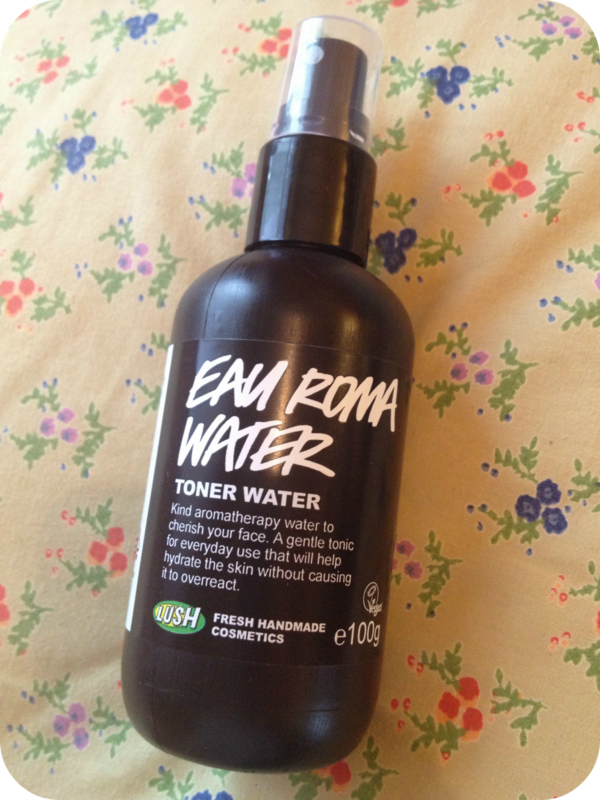 And then after I have moisturized I spray this all over my face and leave it to sink in. I also use it in the morning after I have cleansed and moisturized and I have really noticed a difference. It has really helped to remove redness and has even cleared up a few of my blemishes! It feels so nice and fresh, and it's a really nice way to wake yourself up in the morning! It smells really lovely, not my typical sort of smell as I usually prefer fruity or sweet scents, but this is really light and herbally. I have heard some people complain that it's drying, I don't know if it's because I use it after moisturizing or that my skin isn't too dry at the moment because it's summer, but this isn't a problem for me. I find it plumps my skin up nicely and makes it really soft and all in all I loves it!! Has anyone tried this one and the Breath of Fresh Air? 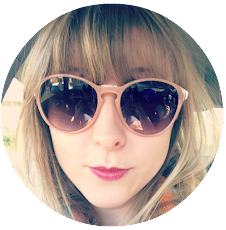 I am following<3 Would you mind stopping by my blog too?? ooh I didn't look at the Tea tree one! Is that good? I love my Tea tree body shop skincare set so may have to add this to my list to try too! Thats great that you can just spritz it on whenever you like during the day! Although I have super dry skin so I always moisturise after toning, so would have to carry a little pot of day cream round with me too!